If you’re looking for an authentic worship experience for your music player, William McDowell’s Sounds of Revival is that, for sure. The “sounds of revival” theme, he says, derived from a need for spiritual renewing and recovery not only in our individual lives, but the church body as well. After streaming a recap of the live worship experience in 107 countries around the world for 24-hours, McDowell released his fourth live recording on January 22. Below, he explains the reason why he sings (no pun intended) and how exactly the powerful Sounds of Revival project evolved over a period of time. ALIYA FAUST: I had a fan moment listening to your new album. Not even just a fan moment, but that worship moment where, in between your breaks, I just felt so many emotions, thinking about the lyrics, the humming, about God, about life. Everything. I just thought it was super authentic. I liked the way you gradually built up the songs. How much of your album was actually rehearsed? WILLIAM MCDOWELL: Such a great question. The majority of this album was birthed in what we call “worship exploration,” which is, we came into this season knowing prophetically what the Word over the earth is. We knew that revival is a global word, prophetically, that is hanging over our generation for those who will call out for it. And so because of that, over the last year and a half, we’ve been doing what we call worship exploration, which is exploring pregnant moments to see what’s there. And what i mean by that is whenever we come into a moment during a night of worship where there’s a declaration or a song or something that needs to be birthed in that moment that hasn’t been written yet, we step into it and stay there and explore that moment until the piece becomes a whole. When Jesus said to 5,000 with two fish and five loaves of bread after everyone had their fill, he said these words to the disciples, gather up the fragments into baskets. We know there were 12 baskets full of leftovers, which means that the fragments were a part of a whole lunch that was given. So what we understood is that if we get a fragment of something, it’s part of the greater whole. So when you ask how much did we rehearse, it was a 2-year rehearsal. Exploring these moments and pieces of songs that would come together over the course of two years that really became ‘Sounds of Revival.’ And then of course, we’re not in heavy structure on these worship nights, so there’s room in every song. What you hear is authentically a night of worship. Yeah, you could really hear it. How’d you discover this calling? I’ve known about this calling for quite some time. I didn’t know it would play out this way (I didn’t know it was my calling to go across the earth and all those things – that’s a part of the unfolding “yes” to God). I just said yes along the way. The Lord has allowed me since I was a young child to hear a sound of worship in my head, in my spirit. We are just now starting to get closer to what I’m seeing in my head. It’s everywhere. Where ever He wants to speak, however He wants to give it to me. Do I have times where I just get away? Absolutely. But do I also have times where it just comes where ever? Absolutely. There are other times when it comes on the stage. It’s about being open to whatever He wants to do. So, whether I’m on the airplane, whether I’m in the car, or while I’m sitting by the piano, or whether we’re on stage somewhere exploring a pregnant moment, it’s all of the above. I loved the entire album. I tried choosing a favorite just for the sake of it but I couldn’t choose between “Send the Rain” and “We Want You.” What’s your favorite song on the album? I think right now, because it has changed and I like them all (I know that sounds like such a generic answer but I love it all), I think it’s “I Don’t Mind Waiting” because it speaks to the posture of desperation that all of us need to have. Not only for God, but also for a move of God in the earth. Listening back to it, the response of the people is a sound that you rarely hear on a recording. I think the combination of how that song was birthed, which was on a platform in North Carolina… when we say “I don’t mind waiting,” at that particular church, when that happened, that was 45 minutes of that song that was birthed that night. It turned to a 10 minute song in the recording, but we were literally singing “I don’t mind waiting” because we were literally waiting on Him to breathe and show us the rest of that moment. That’s why that’s my favorite. It completely captures the posture, the result of that exploration, the cry, the desperation, all of that wrapped up into one. What’s next for you? Anything else to follow up this amazing worship experience? Yes, but it’s a secret [laughs]. Literally. We will be doing do another streaming event. 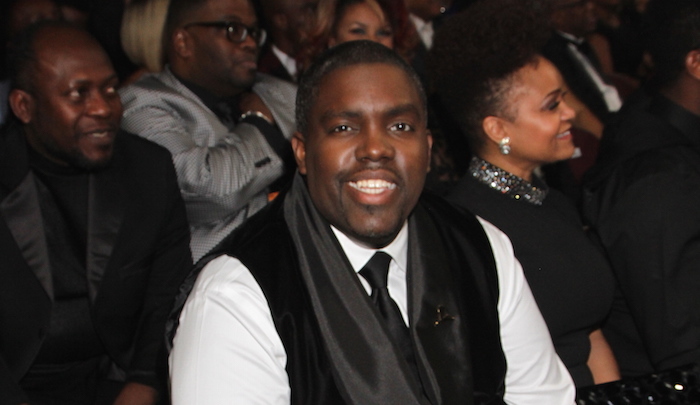 Keep up with William McDowell at williammcdowellmusic.com and follow him on social media @WilliamMcDowell. 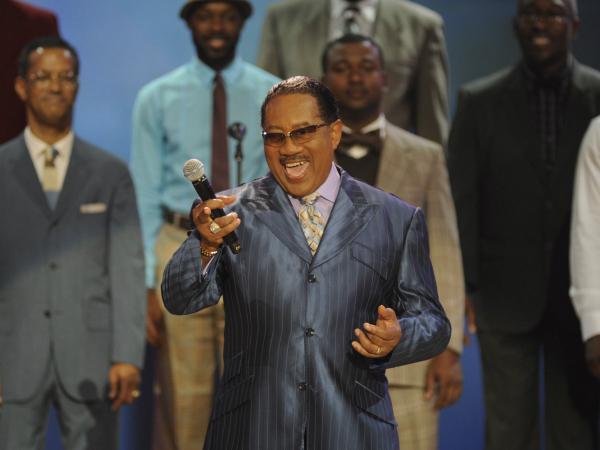 Dr. Bobby Jones returned to BET for his Bobby Jones Gospel series this past Sunday, October 5, celebrating his 34th season of inspirational music and interviews….